MSNBC will be airing an interview featuring Apple CEO Tim Cook on April 6 as part of a town hall event series, with the interview discussing the impact of technology in education, including the company's plans to change the way children and adults learn in the future. 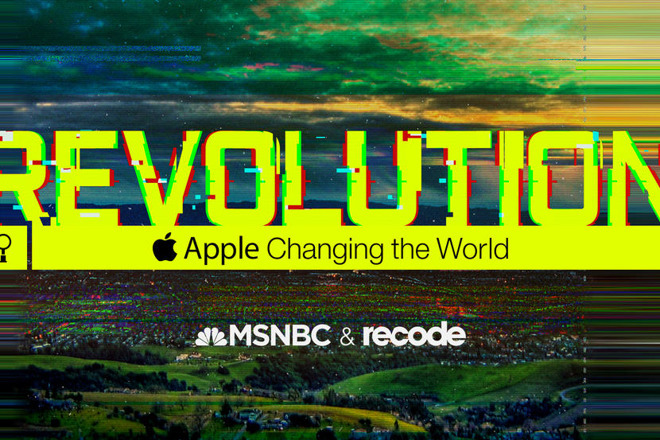 The interview is part of MSNBC and Recode's "Revolution" series of town hall interviews. The first installment took place in January and featured Google CEO Sundar Pichai and YouTube CEO Susan Wojcicji talking about their respective Alphabet organizations. As indicated by MSNBC's announcement, Cook's interview will center around education, and will air the week after Apple's "Field Trip" event taking place on March 27. The town hall will in fact be held at Lane Tech College Prep High School in Chicago, IL., the same venue as the Apple event, but will be recorded one day later on March 28. It is likely that Cook will discuss announcements made during the previous day's presentation, with current speculation pointing towards new iPad models with support for the Apple Pencil. Adding Apple Pencil support to the iPad would make the combination more attractive to schools and other education customers compared to the iPad Pro range, especially if it offers the stylus-based functionality at a lower price point. Apple also announced a partnership with Chicago Public Schools and the City Colleges of Chicago in December, revealing an intention to introduce Swift programming curriculae to the city. Expected to launch in the spring, the Field Trip event could be the venue for its launch, with the teaching of code likely to be brought up as a topic during the interview. MSNBC has made tickets available for the town hall through Eventbrite, with it open to anyone to register to attend, though attendees under the age of 18 will require their parent or legal guardian to sign a filming release form beforehand. Doors open for the event at 8:30 AM local time, closing at 9:30 AM, with the event itself expected to run until 11:30 AM. The interview will be conducted by MSNBC's Chris Hayes and Recode's Kara Swisher. AppleInsider will be in attendance.